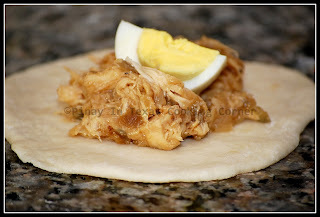 We had leftover Rotisserie chicken, and all the siopao I made last Friday are gone...so I thought of making siopao again. 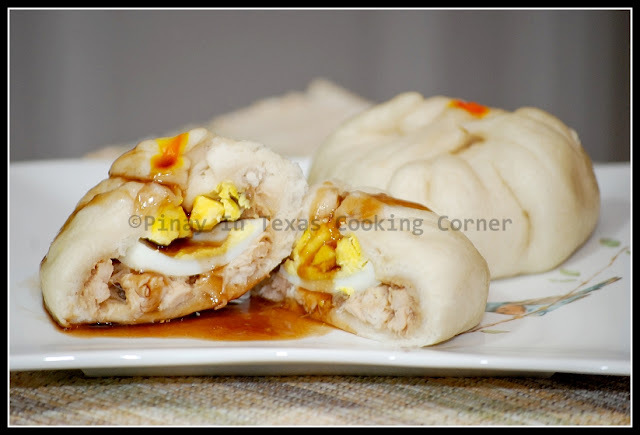 But this time, chicken asado siopao. Since all the recipes I've found on the internet made use of all-purpose flour, I tried using it myself just so I would know the difference. It's good...but the texture of the buns made from bread flour is better. Bread flour is a high-gluten flour that has very small amount of malted barley flour. The barley flour helps the yeast work and the high gluten content causes the bread to rise and gives it shape and structure. All-purpose flour doesn't give the same effect on siopao. So next time, I'll stick with bread flour. 1. Over medium heat, melt the shortening in a pan. 2. Saute the garlic and onion until the onion is almost translucent. 3. Add the chicken and stir-fry until color turns to light brown. 4. 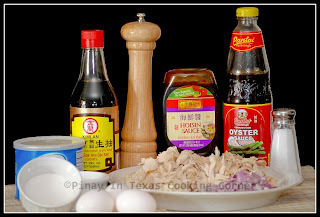 Add the soy sauce, oyster sauce, hoisin sauce, and sugar. Mix well. Simmer until chicken is tender, that is about 15 minutes. If you are using cooked chicken, just simmer for 5 minutes. 5. Add the diluted cornstarch and mix until the texture of the sauce becomes thick. If you are using cooked chicken, there's no need to put cornstarch. Cooked chicken won't be giving out juice so the sauce would be thick enough. 6. Remove from heat and allow it to cool down. Remove excess oil by straining. 7. Set aside until the dough is ready for filling. * For dough recipe, click here. 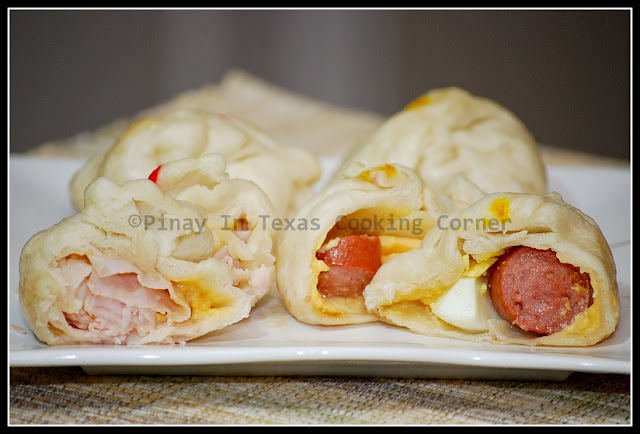 I also made smaller version like the Hong Kong style siopao with ham, cheese and egg filling as well as franks, cheese and egg combination. My daughters loved it! Clarise even brought some to school today! We can fine similar ones at any dim sum, surely many varieties until you don't know which one to choose to eat. yeah, you can find this at dim sum restaurants... but isn't it nice to be able to cook them in the comfort of your own home?